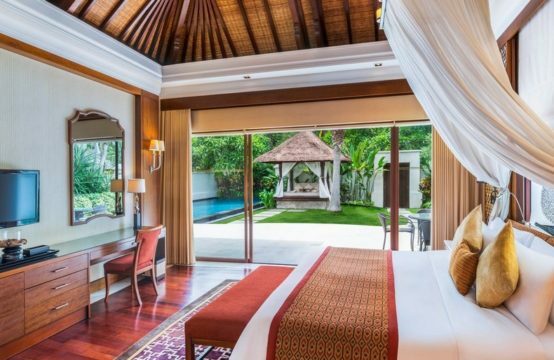 Villa Lulito is an elegant colonial retreat located at the pulsing heart of chic Seminyak just moments away from Petitenget beach on Bali’s sunset coast. At Villa Lulito the two-level sleeping pavilion houses four luxurious bedrooms while three sleek open living areas provide a collection of zones to chill, engage or play. Chose between formal feasts in the smart dining area or casual alfresco meals at the dining table nestled within the villa’s lush gardens. Four white plantation-style pavilions border a 15-metre azure pool that forms an outstanding centerpiece for a small soiree. Families, couples or friends are suitable inVilla Lulito. Step outside and you are at the centre of Bali’s best shopping district, with hip cafes, fabulous nightclubs and fine restaurants moreover Seminyak beach are just a stroll away. 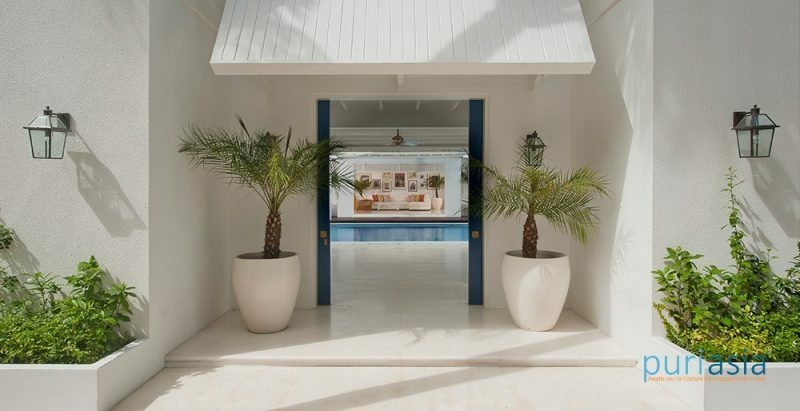 Villa Lulito’s double entranceway opens to a reception flanked by two bedrooms and sets the stage for the grand colonial open living room across the glittering pool. Above the entrance two further bedrooms are reached via a long breezy balcony. Wander along the poolside to the fully equipped kitchen pavilion – a wonderful place for a casual breakfast. 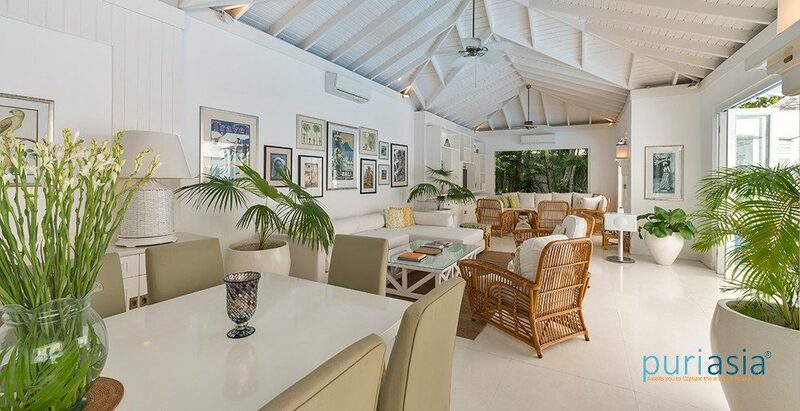 Adjacent is an alfresco dining area that leads to the main living pavilion with its polished formal dining space, chic and comfortable sitting room plus an entertainment zone. 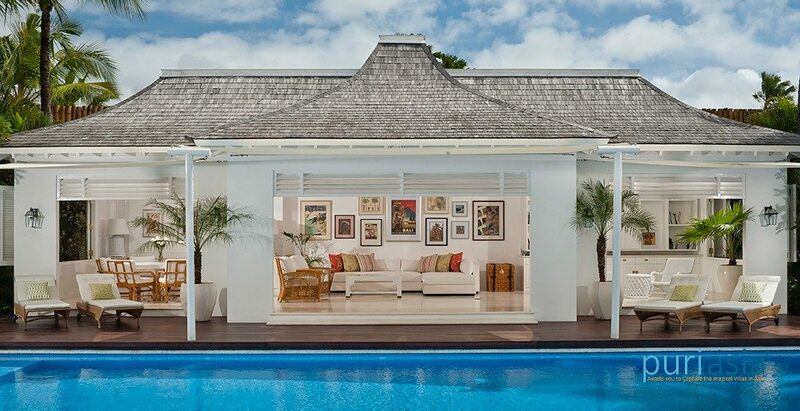 At the far end of the pool is a graceful garden pavilion with daybeds and decorative touches creating beautiful tableaus everywhere the gaze falls. 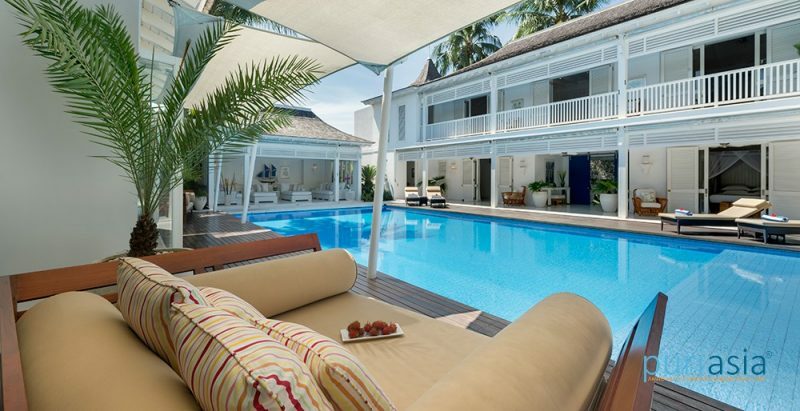 A two-storey pavilion houses all four ensuite, air-conditioned and fan-cooled bedrooms at Villa Lulito – two at pool level and two on the floor above, accessed from a long, white, covered balcony. 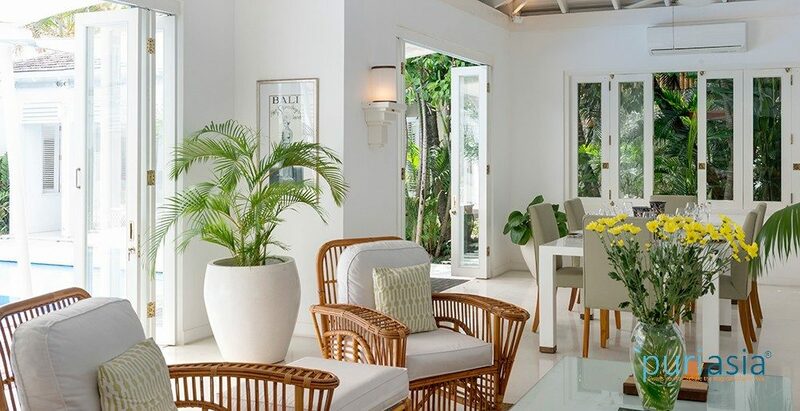 Plantation shutters, rattan trunks and lush potted palms create a serene environment that is perfect for holiday downtime. 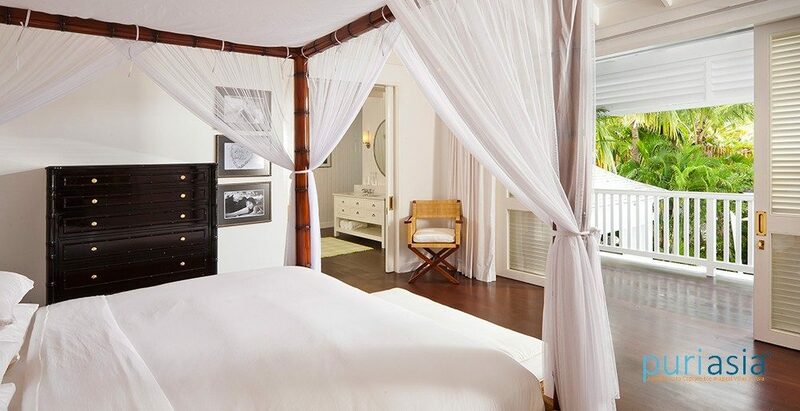 The upper-floor master suite is furnished with a luxurious, netted, four-poster king-size bed with internal LED reading lights and feather-light linen. A soft chair provides a quiet corner to take in the view of the pool or watch a DVD in privacy, and a freestanding bathtub features in the adjoining air-conditioned bathroom that’s also fitted with a separate shower. This room easily converts to a family suite by sliding open the double doors in the dressing area to connect with the adjacent children’s room. All in white, four netted, custom-made bunk beds bedeck an entire wall of this gorgeous room, which also offers the option of an additional queen-size bed or twin beds (on request and at extra charge). Draws, shelves, ladders and bags of space create a fabulous play area for little ones to safely enjoy. Fun touches include brightly coloured cushions, plush dinosaur laundry baskets and packed bookshelves. The adjacent bathroom has a separate shower and WC plus child steps for the sink and vanity. 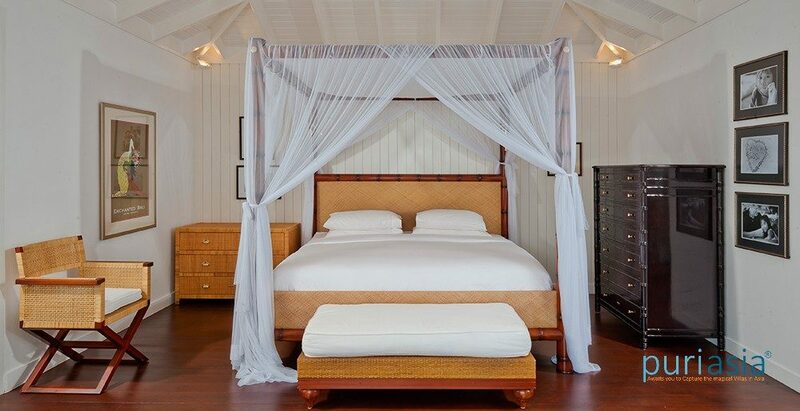 These mirror image ground-level bedrooms capture the essence of the colonies with large rattan and leather travel trunks set at the base of bamboo four-poster king-size beds. 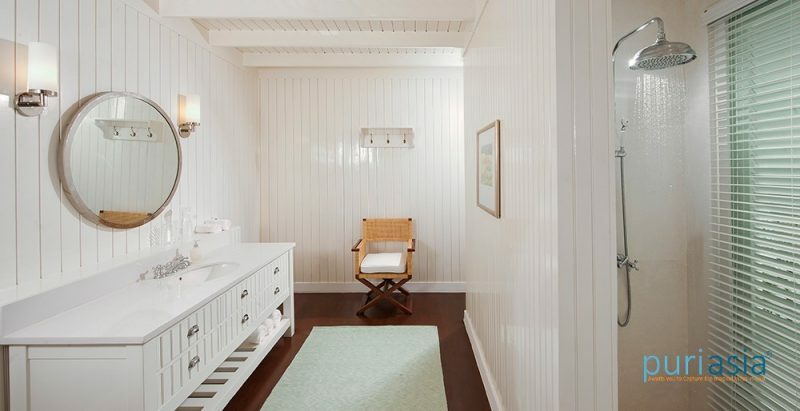 Crisp white finishes create a gentle ambiance and high levels of comfort. 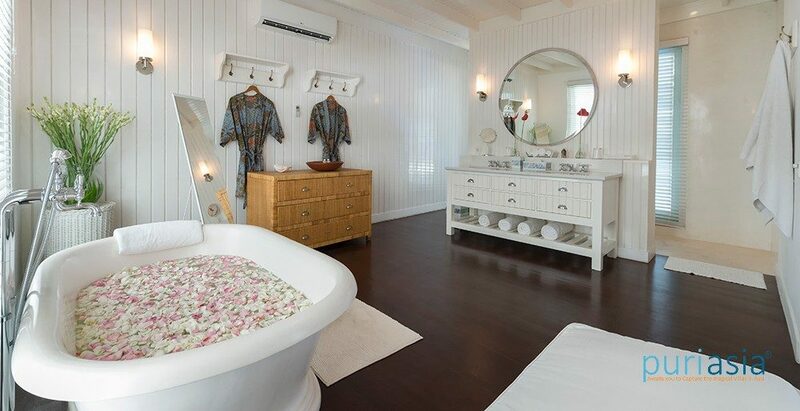 Ensuite bathrooms with large round mirrors and rain showers complete the scene. 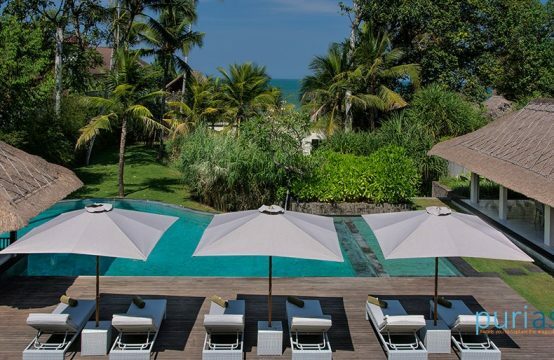 Double doors open directly onto the terrace by the pool with scattered loungers and comfortable cushioned chairs at the ready for total relaxation. 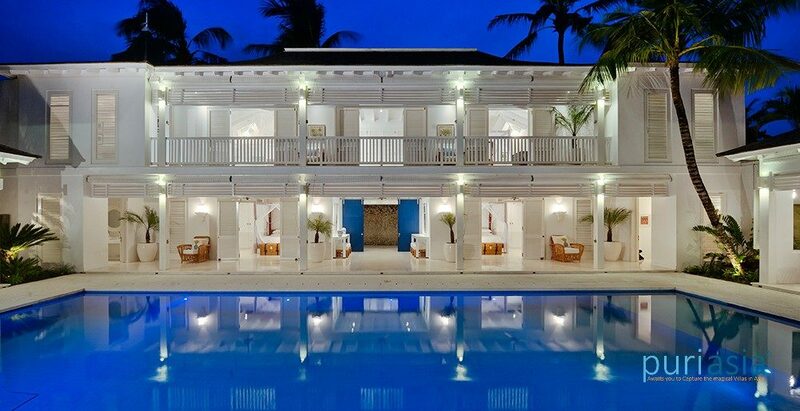 Three open-fronted colonial-style living pavilions overlook the pool at the heart of Villa Lulito. The fan cooled kitchen and casual dining pavilion is light and airy and home to a breakfast table for eight people and a comfortable lounge with a large coffee table. An alfresco dining table in a corner of the tropical garden makes the perfect venue for a barbecue lunch beneath lush palms. Sun loungers circle the 15-metre pool on three sides and a basket of pool toys will keep the children happy. 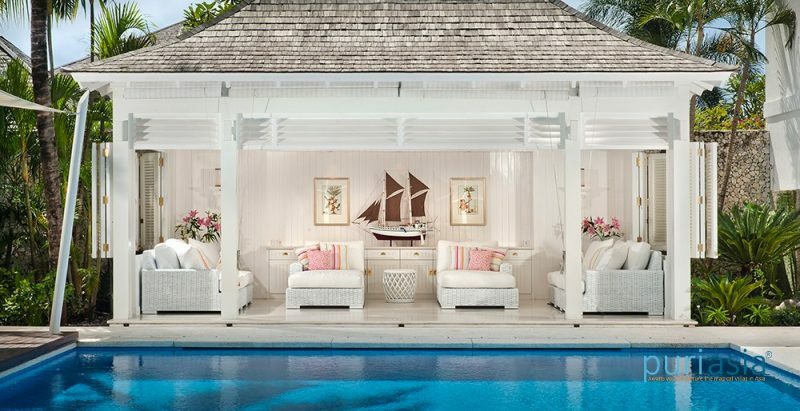 The stunning white garden pavilion sings a song to lure you onto its plush daybeds. Immerse yourself in this uber-chic chill zone for a languid afternoon nap while the whispering overhead fans keep the heat at bay. The main event is the grand living pavilion; home to a formal dining area for eight people. The Bose sound system will fill the air with musical accompaniment as you sink into the softly cushioned sofas and admire the historic prints that grace the walls. 8 adults OR 6 adults and 4 children (4 ensuite bedrooms with three king-size beds and four single bunks). A king-size bed can be added to the bunk room to accommodate 2 adults. When children also occupy this room there will be an extra charge. 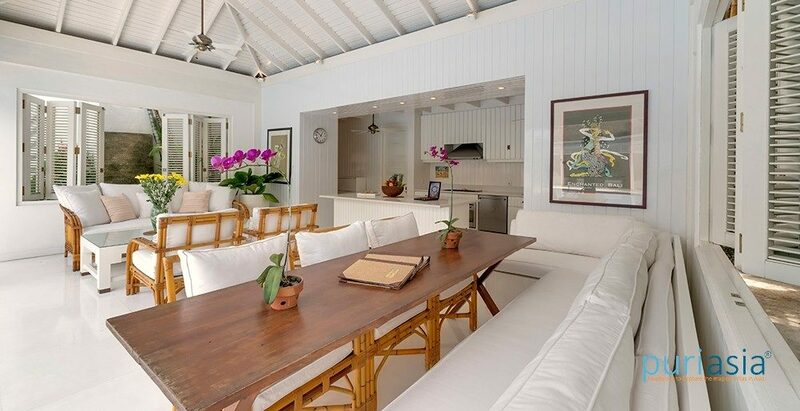 Living/dining pavilion; kitchen/dining pavilion; garden pavilion lounge; outdoor dining for 8; indoor dining for 8. Villa manager; private chef and assistant cook; housekeeping; service staff and security. Additional staff including babysitters, masseuses are available on request, at additional cost. Western, Asian, vegetarian and children’s dishes. Requests accommodated including special diets. Satellite TV; DVD player; Bose sound system; iPod dock. Villa Lulito is very well equipped for families. Facilities include: designer bunk room for 4; baby cot; books; DVDs; games and some pool toys. In-villa treatments from a comprehensive spa menu can be arranged. 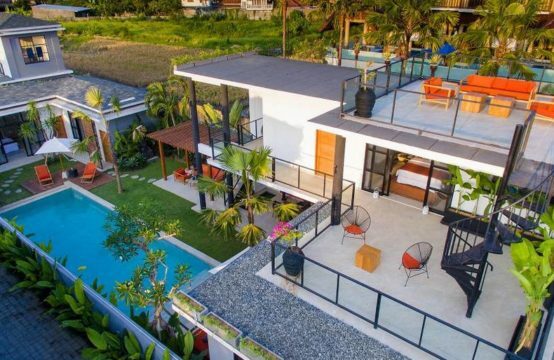 The villa’s central Seminyak location means that many attractions are within easy walking distance. If additional transport is required, the villa manager will arrange for a private car or metered taxi service, at additional cost. Barbecue; diesel powered back-up generator; safety deposit boxes.